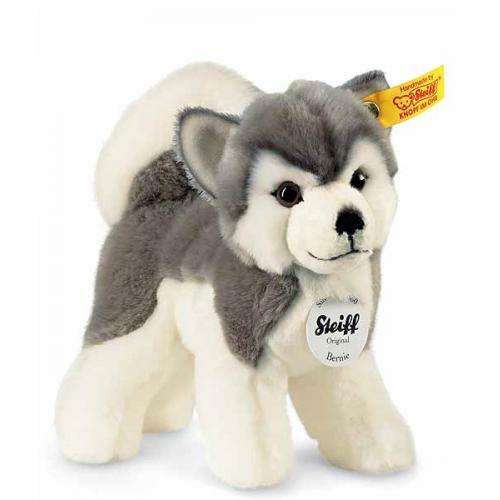 Steiff Bernie Husky is made is made of cuddly soft grey and white plush. Bernie carries the yellow tag, which signifies him as a Steiff classic edition and wears the famous brass plated Steiff button in ear. Machine washable on low temperature. Standing position. Size, length ways is 17cm.